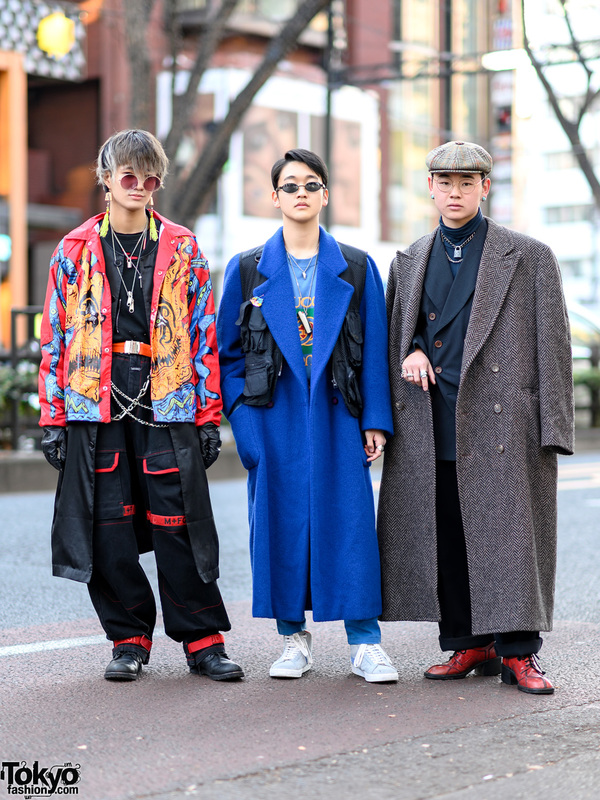 Trio of teens in Harajuku all wearing stylish menswear looks while out and about on the street one afternoon. 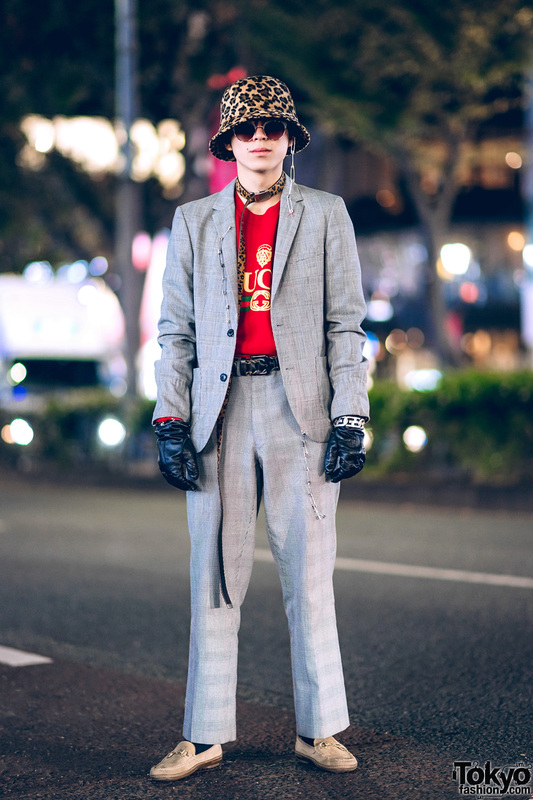 Stylish Harajuku guy dressed in a houndstooth print suit, brown suede loafers and accessories while out and about on the street. 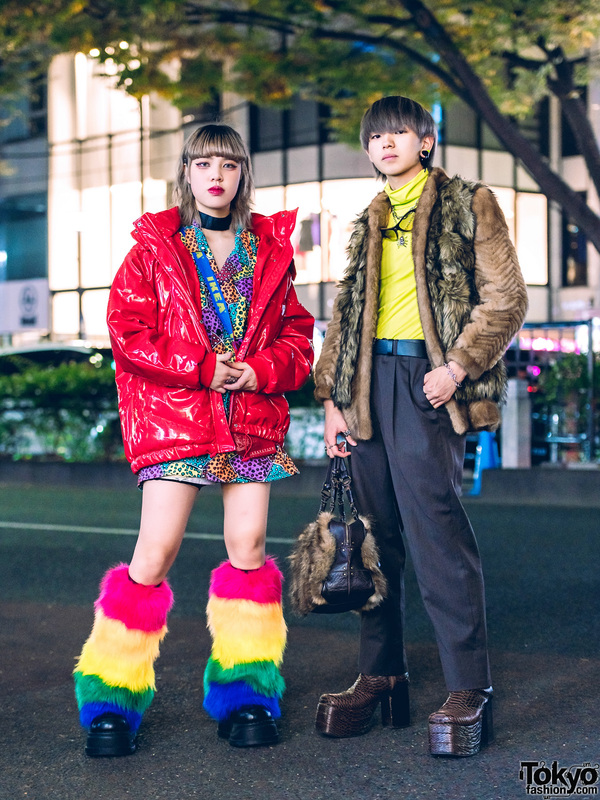 A couple of guys sporting interesting layered menswear fashion styles while out on the Harajuku street one evening. 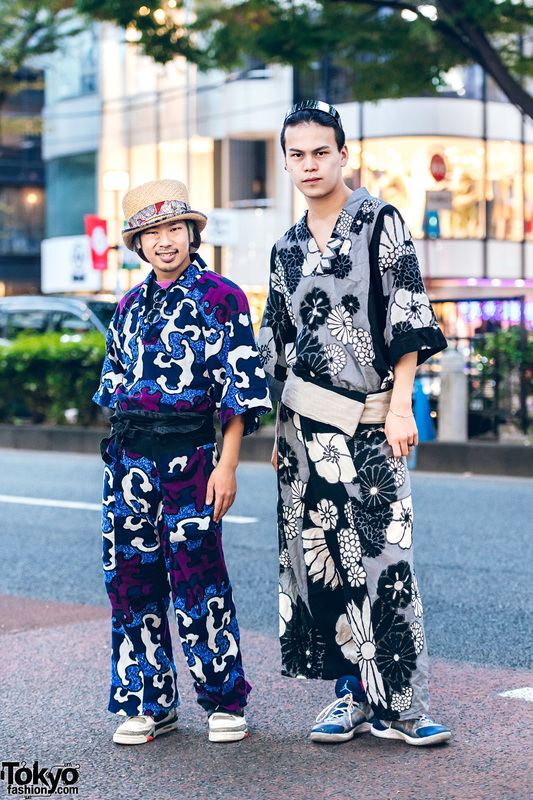 Japanese dancers Kazuho Monster and Scythe Japan in Harajuku street sporting printed kimono streetwear styles. 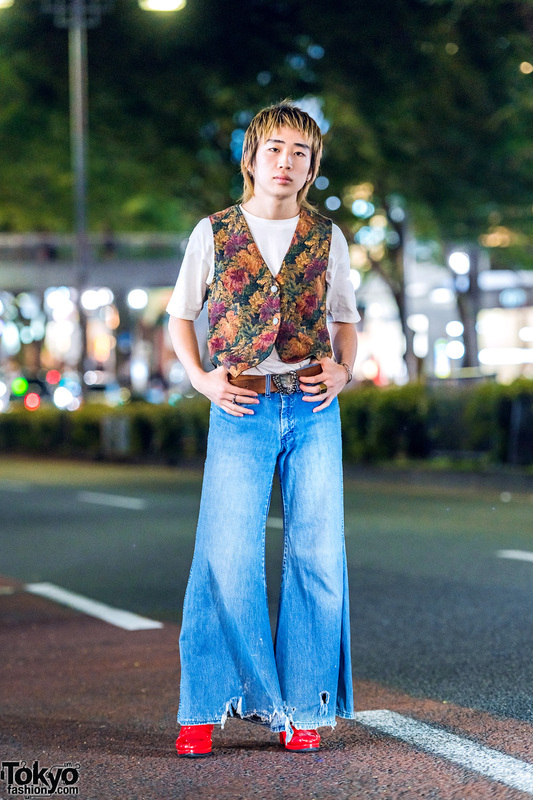 Harajuku teens sporting stylish menswear suits with blue and teal hair styles while out and about on the street. 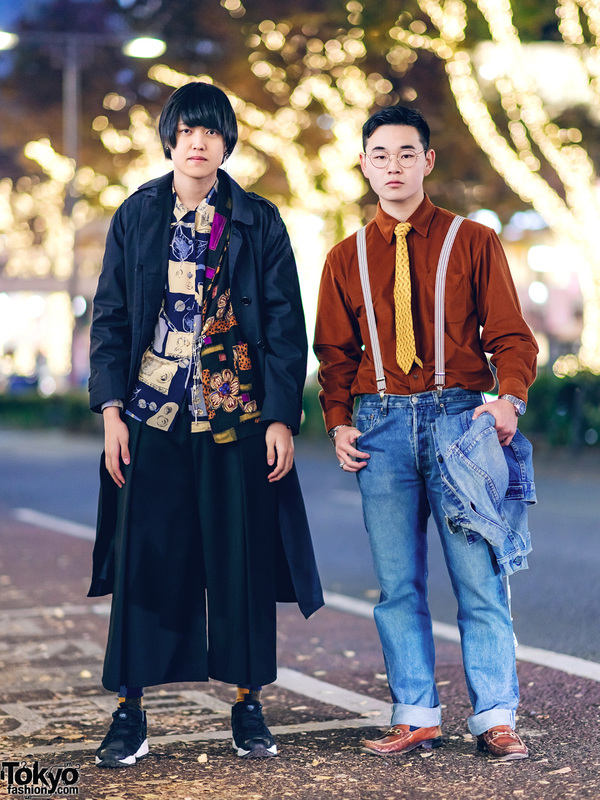 Japanese trio sporting stylish ensembles with button down dress, button down shirts, black vest, cuffed pants, pocket pants, shoes and accessories. Ombre-haired Harajuku student in Fendi coat, resale layered tops, slit hem pants, leather loafers and accessories.